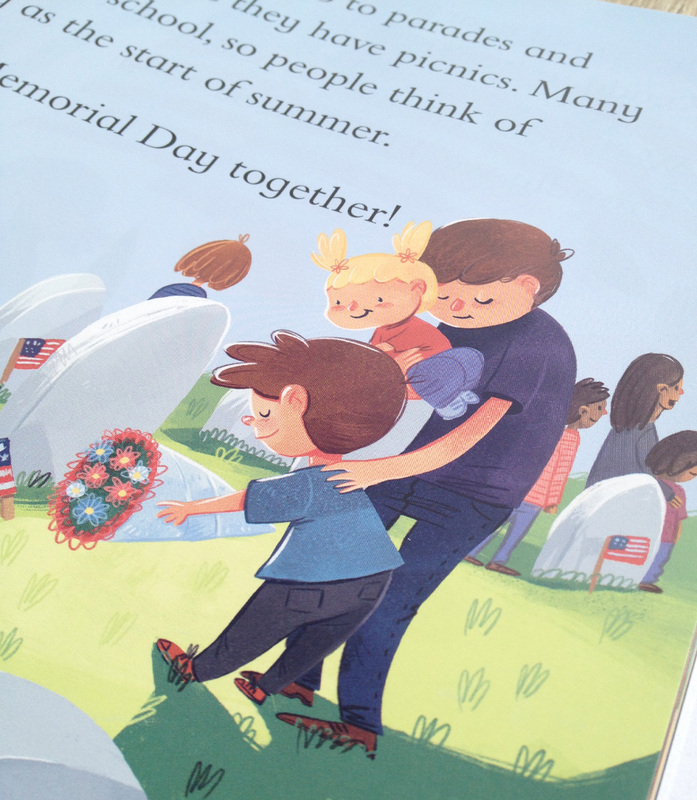 For a book series called “Holidays in Rhythm and Rhyme” I illustrated the book about the Memorial Day. Familys visiting a military cemetery on Memorial Day. Close up of the little boy placing flowers on the grave. Children and families watching a Memorial Day parade with veterans, boy and girl scouts and even a fire trucks. The book tells a bit about the history of the USA and this spread shows Soldiers from the Revolutionary War. This spread shows Soldiers that got hurt and probably died in the Civil War. Children joyfully jump into a crowded pool in the summer. 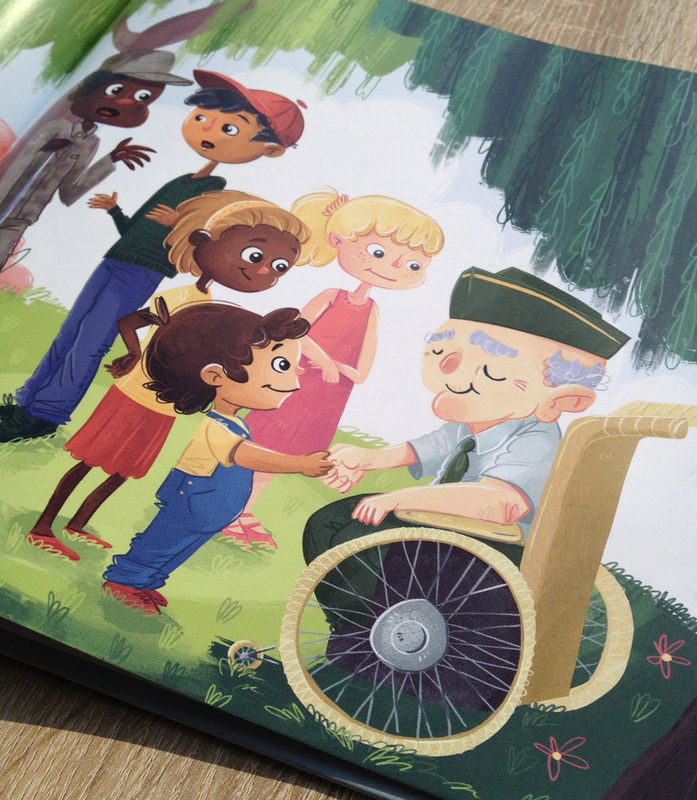 Childrens talking to Veterans and listen to their storys. Please download my portfolio and of course I would love hearing from you if you like my work.